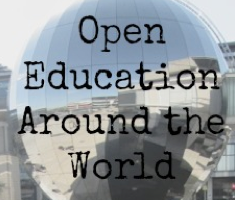 We have a date for your diaries: our third Open Education Working Group Call: Monday 12th May 4:30pm – 5:30pm BST. If you are interested in being involved leave your details using the Google form (also embedded at the end of this post). You can join the call by entering the hangout (to participate) or by watching the streaming on Google Hangout on Air. During the meeting we will be using an Etherpad for the agenda and notes. Please feel free to add your name and items to the agenda. Firstly they will be an opportunity for us to get to know each other. 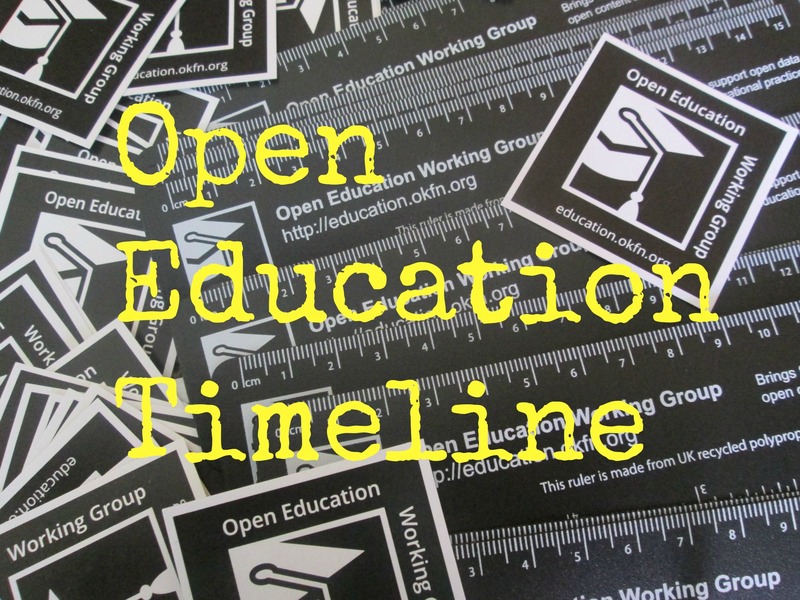 During the first half of the call people will be able to introduce themselves and give a brief overview of the open education related project and activities they are involved with (think of it as a quick lightning talk – so mega quick!) You don’t have to speak if you don’t want to, there’s no pressure. But if you have something you’d like to share then this will be the time. 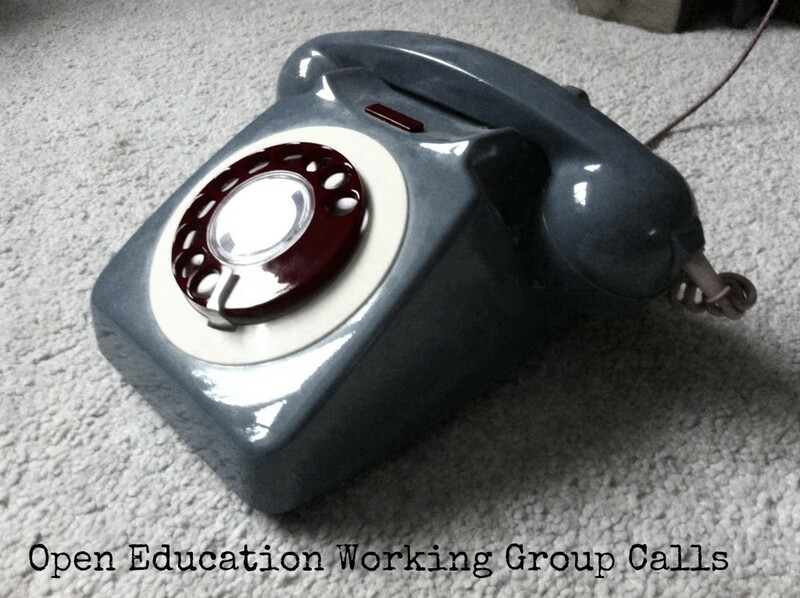 At this call we hope to have quite a few members of the working group for you to hear from. Secondly there will be a chance for us to get the group active. The second part of the call will allow us to get down to business and here we will discuss future activities, ideas for events etc. The minutes from the last meeting are available online. Once again we are planning to hold the meeting in Google hangouts but would really appreciate your Skype addresses in case we have any problems. There is an upper limit of 15 people for Google Hangouts but we will attempting to transmit in Google Hangouts on Air too – Open Knowledge are currently investigating other approaches. Please check out the hangouts spec in advance.